"M2K" redirects here. For the similarly named Brawl modder whose tag is also often abbreviated "M2K", see Smasher:Mewtwo2000. For other people with the name Jason, see Jason (disambiguation). Mew2King, commonly known as M2K, is an American smasher from Cinnaminson, New Jersey, who is currently residing in Orlando, Florida. He started playing competitively and attending tournaments in 2005 for Melee and 2008 for Brawl, and has worked up a reputation of being one of the best Melee and Brawl players in the world due to his great chaingrabbing, camping, and comboing skills, as well as his extremely optimal, technical, and intelligent play style, earning him the nickname The Robot. Mew2King is considered to be one of the two best Marth players in the world (along with Zain), one of the two best Sheik players in the world (along with Plup), a top Melee Fox player, one of the four best Melee Mewtwo players (alongside Taj, Leffen, and Zoma) and arguably the best Pichu player. He is also considered one of the best Brawl Meta Knight players of all time, considered to be one of the best Smash 4 Cloud players in North America (along with MkLeo, Tweek, Ned, and Javi), was considered one of the best King Dedede players when he played him shortly after Brawl's release (whom he still uses along with Falco in MK-banned tournaments), and was one of the best SSB4 Diddy Kong players before he was nerfed in patch 1.0.8. He is currently ranked 3rd on the Central Florida Melee Power Rankings, 6th on the 2018 MPGR, 12th on the 2016-2017 SSBBRank, and 69th on the Panda Global Rankings 100. He was formerly ranked at the 0 position on the discontinued North Florida Smash 4 Power Rankings, 1st on both the SoCal Project M and Smash 4 Power Rankings (right below ZeRo on the latter, who held the 0 spot), 1st on both the discontinued Tristate Melee Power Rankings and North Atlantic Regional Power Rankings, 2nd on the final Tristate Brawl Power Rankings, and 3rd on both the discontinued Smash Panel Power Rankings and SSBPD. Mew2King was a major threat in Melee's tournament scene in the years before Brawl's release, consistently placing in the money at nationals. In the first few years of Brawl's lifespan, Mew2King dominated the national scene, rarely losing sets in tournaments, and remains one of the best players in both Melee and Brawl to date. During late 2013, after years of not winning a major Melee tournament, Mew2King went on a winning streak which saw him win The Big House 3 as well as almost every other singles event he entered, taking sets off of players who he had seldom defeated in that recent time, including Mango, Hungrybox, and PPMD. This is commonly referred to as "The Return of the King". In Smash 4, at Get On My Level 2016, Mew2King became the fifth player to take a set off of ZeRo in Smash 4 (after Mr. ConCon, Vinnie, Seagull Joe, and Nairo), and the first player to defeat ZeRo in a best of 5 set without losing a single game. Mew2King played Cloud for the whole set, while ZeRo played Diddy Kong game 1, and switched to Sheik for games 2 and 3. 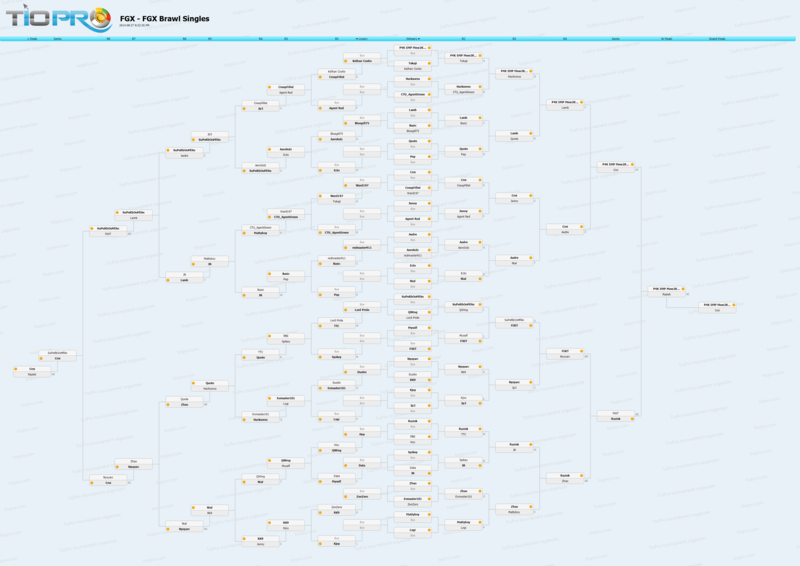 He also managed to defeat both Ally and ZeRo at Endgame, but ultimately lost to ZeRo in two sets of Grand Finals, including a JV-3 stock in the final game. He also placed 5th at Shine 2016, defeating Larry Lurr 3-0. Mew2King has made many important discoveries about Melee on his own by testing several aspects of the game. This includes character weight, falling speed, attack knockback, priority, game physics, and so on. He stores this information here as a repository for Melee statistics, which, to this day, many casual and professional Smashers refer to alike for more information about their character's data and inner workings. Because of this, Mew2King is able to play the majority of the cast at a high level, exemplifying this by beating Mango in two 26-character battles at Smash the Record, having only had to use five characters the first time, and 15 characters the second time. Mew2King is arguably the best defensive player in the world. He has one of the best powershielding abilities among all Smash players, and can effectively bait bad decisions from other players. Mew2King is a very punish-heavy player, and focuses on getting one crucial hit, then converting that hit into a position where he is primed to begin a combo and the opponent has limited options. Once he lands an opening move, he will usually land harsh punishes which tend to lead to a KO, due to his knowledge of character weights and KO percents. These punishes also usually encompass all of the opponent's tech and DI options, making them nearly impossible to escape. He also has arguably the best edgeguarding game, due to his aforementioned superb option coverage, as well as some of the best recovery mix-up tactics. Mew2King is considered one of the top players on Final Destination; as Marth against fastfallers, he is extremely consistent in chaingrabbing and comboing them from 0% to a KO off of a single conversion, and as Sheik, he can lock down other characters, mostly mid-tiered characters, longer than he could than on stages with platforms. His character choices seem to be stage specific, particularly on the opponent's counterpick; he will usually pick Marth on Final Destination and Fountain of Dreams, Sheik on Dream Land, and Fox or Marth on Pokémon Stadium; he is more flexible on the remaining two stages. Mew2King, however, has a weaker neutral game compared to other players of his caliber. His neutral game focuses on unorthodox approaches, which he employs to force his opponents into positions where they have limited options, usually reduced down to a 50/50 situation where he can exploit his superior knowledge of character hitboxes. While this strategy works well against Fox and Falco as he only needs one exchange win to convert into a KO, it is not as strong against floaty characters that are more difficult to combo, and can be exploited by clever baits from players of his caliber. Mew2King is also known for heavily counterpicking in specific matchups, sometimes with disappointing results. For example, he will only play Fox against Jigglypuff, as Fox is technically superior in that matchup, though he has seen mixed results against Hungrybox. He was the first top player to recognize the potential of Snowy, even teaming with him at Dreamhack Denver - a Puff player that Armada and Leffen train with for the Jigglypuff matchup. He will usually play Peach against Ice Climbers at high-level play just because she has a greater advantage against the Climbers than any of his mains, instead of learning the matchup with Marth or Fox, who are considered to also have winning matchups. Because his Peach is not practiced to the same level as his mains, he has lost at least once to almost every notable Ice Climbers player, and has even lost games to Nintendude's Peach and ChuDat's Jigglypuff. Occasionally, Mew2King has counterpicked Jigglypuff in certain games against other Jigglypuff players, such as Mango and Hungrybox, which usually lead to his defeat. He is also easily unnerved while in a losing position, particularly when the crowd is cheering for the other player or when he starts making tech skill errors, as seen against aMSa at Kings of Cali 4 and against Armada at EVO 2013. Mew2King has notably improved his game in 2016 such as at Smash Summit 2 where he 3-0d Armada as well as winning Clutch City Clash and Shine 2016, one of the largest Melee events of all time, as well as other smaller regional tournaments such as Endgame and Apex 2016. He also had one of the most impressive losers' runs in the history of the game at UGC Smash Open: after being knocked into the losers' bracket in round 1 of Winners' bracket by n0ne, he defeated Duck, Mango, Ice, SFAT, n0ne, Leffen, Hungrybox, and Armada before losing to Armada in Set 2 of Grand Finals. Other notable performances in 2016 include 2nd at CEO 2016, 3rd at Smash 'N' Splash 2, WTFox 2 (where he notably 3-0d Hungrybox), and Super Smash Con 2016, and 5th at EVO 2016. In Smash 4, with his use of Cloud, Mew2King retains his signature defensive playstyle, using Cloud's impressive reach to zone out his opponents while charging his Limit Break gauge, and punishing the opponent's mistakes should they approach him incorrectly. He is notorious for using Cloud's Limit Break specials very liberally, instead of saving them for more opportune moments or retaining Limit Break for the increase in movement stats, to the point he sometimes even garners an early KO with them. Mew2King is also a proponent of taking to the air rather than staying grounded for the majority of the match, and going for off-stage edgeguards, even in spite of Cloud's sub-par recovery without Limit Break. However, his excessive Limit Charging can leave openings for other characters to either tack on damage, charge their respective special moves, or spawn an item that can completely change the matchup (such as Diddy Kong's Banana Peel). Like in Melee, Mew2King tends to go for risky, yet very rewarding options in certain situations, which may lead to either character or both characters losing a stock, such as in a match at Apex 2016 against Nietono. Mew2King was initially a Diddy Kong main when the game first came out, heavily utilizing the character's powerful air game to net several great placings in tournaments. However, upon the release of update 1.0.6, which heavily nerfed Diddy Kong and removed his notorious "Hoo-Hah" combo, Mew2King was left unable to play Diddy to the same efficacy that he had before, with him stating he went from being the second best Diddy Kong player to being not even a top 10 Diddy. He tested with multiple characters in the game such as Captain Falcon, Mario, Rosalina & Luma, Mii Brawler, and Donkey Kong attempting to get a new main. Donkey Kong notably got him 3rd at PAX Prime 2015 and 5th at SKTAR 4. He popularized the "Ding Dong", a combo involving a cargo up-throw into up aerial which can kill at low percentages. Despite his efforts, Mew2King did not feel confident in any character and was doubtful that he would achieve the same success from before the update. He would later go on to say because of this that he was not too fond of Smash 4 as a competitive game but thought it was great casually, something he has also said about Smash 64. Upon the release of Cloud as DLC however, Mew2King recanted his statement, picking the new character up as his main, and now being allowed to once again adopt his signature playstyle. Mew2King has commented that "Cloud makes [him] actually love Smash 4", reflecting in his newfound desire to practice the game heavily and better tournament placings in 2016. With Mew2King's resurgence using Cloud, he has taken sets off many top players, the most notable being the #1 and #2 players in the world at the time, ZeRo and Ally. He was considered to be one of the best Smash 4 players in North America throughout 2016. Mew2King is also notorious for dropping out of national Smash 4 tournaments to focus on Melee, generally if he is sent to losers bracket early in pools. EXPosure 8 March 29th, 2014 1st 2nd Oro?! Northeast Championships XIII December 1st, 2012 1st ? ? Tampa Never Sleeps 6 February 26th-27th, 2016 1st ? ? At MLG DC 2010, after losing to ADHD in the loser's finals, he accepted a $500 compensation from ADHD. In response, MLG banned both players from the 2010 MLG finals under the grounds of "forfeiting or conspiring to manipulate Rankings or Brackets." In May of 2011, Mew2King, ADHD, and Anti all received yellow cards under the Unity infraction system for bracket manipulation in response to a situation at KTAR 5. Mew2King had forfeited to Anti in the Winners' Semifinals, defeated Dabuz in Losers' Quarters, then forfeited to ADHD in Losers' Semis. All of the players besides Dabuz agreed to split their winnings afterwards. At GENESIS 2 (July, 2011), Mew2King received a red card under the Unity infraction system for "intentional under-performance" by choosing Ganondorf in a pool match against Sade and allowing himself to lose, after dominating the rest of his pool with his usual Meta Knight. In response to some of these splitting controversies, Mew2King has stated that he was either in a poor mood during the tournament sets, or that he agreed to split because splitting was extremely common at the time, with him believing that splitting money was considered acceptable behaviour; he has stated that he was also not aware that the MLG's ruleset banned splitting. Mew2King forfeits from the tournament. He later re-enters the tournament after some convincing from Hax. KirbyKaze throws Winners' Finals against Ford, and M2K and Ford agree to split publicly. Ford refuses to play his main in Grand Finals and M2K wins the tournament, causing backlash from the community. While this controversy started with Mew2King's mistake in his stage counterpick, it is not considered entirely his fault. Many place the majority of the blame on Alukard for forcing the players to replay the match, and some on Ford for not checking the rule until after the game. CLASH Tournaments, a Tristate located gaming team, sponsored Mew2King in around a time when his actions were particularly infamous among the community, mostly in the form of various, embarrassing "Mew2King stories" which were almost never true or greatly exaggerated. The most notorious of these stories were circulated around the time of his trip to Japan to participate in the Sun Rise Tournament, where numerous bloggers reported false or exaggerated information about Mew2King's conduct that ended up staining his reputation. After sponsorship, the public's view of his attitude has improved dramatically, making him a much more respectable figure in the community than he had been before. Many players cite to have found a new faith or respect for him after air time on CLASH Tournament's stream of Collision VI on January 5th, where he commentated two exhibition sets at the end of the tournament with fellow caster Keitaro. Many newer players in the community have also said that unlike most other top-ranked smashers, he is willing to take the time to play friendlies with anyone, even the weaker players, despite being requested to do so frequently. He has also helped players of all levels improve their technique, including top professionals such as Hax and Armada, and publicizes their accomplishments. His tournament placements since then have also gone up, especially in Melee. Mew2King, in response to the rumors and criticism that he has received, has also been actively working to improve his personality, taking in feedback while also admitting flaws that he had displayed in the past. This was later demonstrated by a publicized incident in 2014; after the Japanese release of Super Smash Bros. for Nintendo 3DS, Mew2King shipped his Nintendo 3DS to an unofficial craftsman as to install a capture device on it, as to allow for Mew2King to record footage of himself for video sharing sites like YouTube and Twitch. After receiving non-functional units two times, Mew2King immediately lashed out against the craftsman, demanding that they fix his system free of charge, and also demanding that they send him seven free systems, under the belief that he had lost significant revenue in his YouTube and Twitch channels from being unable to record footage of the new game . 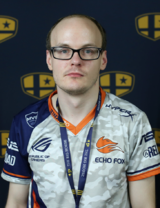 After significant community backlash against his poor conduct, Mew2King later admitted his immaturity in the exchange, and apologized to the craftsman for his behavior, stating that he was blinded by his anger and was convinced by one of his friends to demand compensation. After some time, the community has come to forgive and forget Mew2King's controversial actions, and he is now a well-liked member of the community who has a very large following. However, he does very occasionally stir up some controversy over his decisions in tournament, although the discussions surrounding those controversies are usually short-lived. Mew2King, being a very technical player, was initially an outspoken critic of Brawl, claiming that it lacked many of the elements that made Melee a fun game to play. Later, he saw Brawl as an opportunity to get ahead of the curve, and began playing it competitively as well. During some time from 2008-2009, he was considered the undisputed best player for Brawl and one of the two best players for Melee alongside Mango. Mew2King has stated that he finds Melee more enjoyable than Brawl mainly because of the technical aspects of the game when compared to Brawl. Certain aspects of Brawl's mechanics contribute to his "love-hate relationship" regarding it, and he particularly voices his dislike of the Ice Climbers, claiming they "ruin" the game. On The Big House 3's livestream, he stated that he was thinking about quitting Brawl in favor of continuing Melee as well as pursuing the goal of being the best SSB4 player. He still attends various Brawl tournaments, but far less often than he used to. Mew2King is diagnosed with Asperger syndrome, an Autism Spectrum Disorder. Many people with Asperger's syndrome struggle with empathy and being able to put themselves in other's shoes, thus they may occasionally come across as insensitive, despite not intending to. Mew2King, Armada, Hungrybox, Mang0 and ZeRo share the distinction of having won more than $100,000 in a select Smash title, being Melee for the first four players, and Smash 4 for ZeRo. Mew2King is the only "God" of Melee to not hold a positive record over another god. He was featured in the Guinness World Records 2017 Gamer's Edition along with ZeRo for being the player with the Most eSports tournament results (at 339). People who triple-main Fox, Sheik and Marth in Melee are sometimes said to "main Mew2King". Smashers who are examples of this are DruggedFox, Ice, AbsentPage, Rudolph, KDJ, Tink, Azen, and Ek. This page was last edited on April 22, 2019, at 05:55.